10 Days ago my Photo of the Day had this field blanketed in snow. Today there are garlic sprouts and the start of the irrigation season. 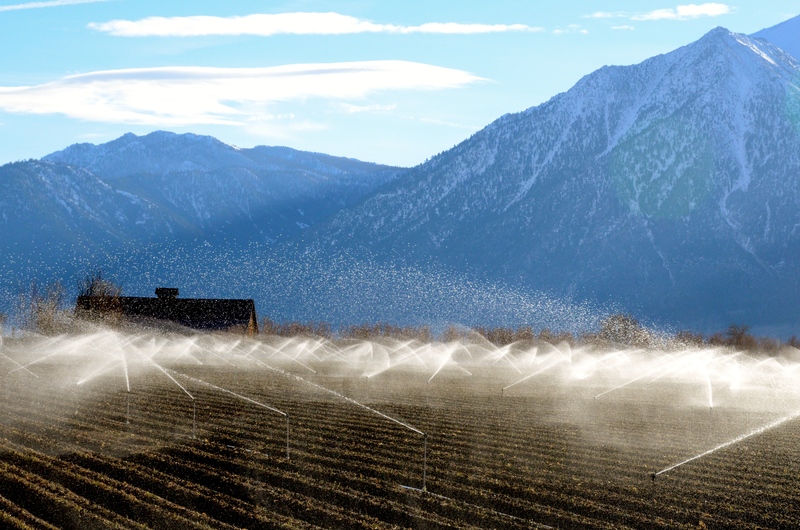 This entry was posted in Photo of the Day 2014 and tagged Garlic Field, Photo of the Day, Sprinklers on February 11, 2014 by Bill and Paige.